I’m a Scottie! NOT a Boxer! I do enjoy these new cardboard snacks!! 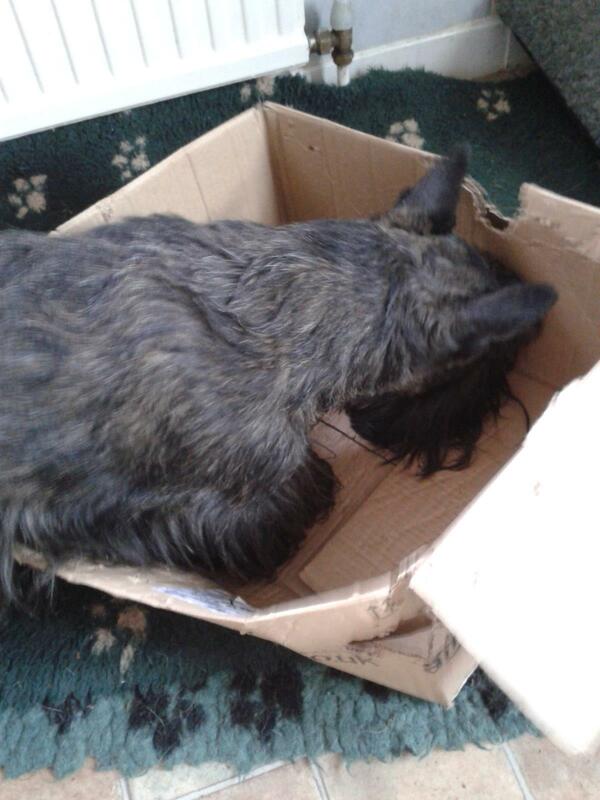 “curiosity killed the cat” but don’t worry, I’m a Scottie! I don’t think much of this bed – it’s not what I’m used to! Mmmm, there’s a biscuit in ere somewhere !!!!!!!! Er…ok, my whiskers are caught on a staple……..now what do I do? eco friendly dog bed my ***! There’s something here. I’ll find it.